A year ago, my wife and I decided to plant a garden. A for real, grow-stuff-that-you-eat garden. So we gathered seeds for tomatoes, cucumbers, peppers, and a few other things, we tilled the patch of soil, we repaired the critter fence around the area that had fallen into disrepair, we dug holes, we planted seeds, and then we waited. Every day I would come home and ask the kids if anything had grown yet. It had not. Until one day there was the smallest, green chute coming out of the ground. And we watched that little green chute, being careful to water it—but not too much—fighting off the weeds that would try to grow around it, until it would eventually bear fruit. From the time we began to plant until the day we ate the first tomato was around 3 months. Not a terribly long time in the grand scheme of things, but pretty long when you’re watching a clump of dirt every day. Apparently, this is called cultivation—it’s the act of preparing, promoting, developing or promoting the growth of someone or something, and it takes time. And intentionality. And effort. That’s true of cultivating tomato plants, but it’s also true if you want to cultivate a characteristic in your life. Like gratitude, for example. 1. Remember what you deserve. It strikes me that the moments when I am the most ungrateful are also the moments in which I feel the most entitled. That I deserve something better than the situation or circumstance in which I currently find myself. But that sense of entitlement is a lie. It’s not a lie in the sense that I’m not entitled to something; it’s a lie in the sense that I often forget what I am actually entitled to. Which is hell. Separation. Condemnation. Eternal punishment. This is what I truly deserve. If I want to cultivate gratitude in my life, then a healthy dose of remembering what I am actually entitled to should go a long way. 2. Remember what you have. It also strikes me that other moments when I am ungrateful stem from when I compare myself to others. I look at the bank account, the physical stature, the intelligence, the wit, or the influence of another and am so caught up in my own covetousness that I simply don’t have any room to be grateful. It’s in those moments that I can reflect back on what I truly have. And what do I have? A beautiful wife? Wonderful children? Fulfilling vocation? 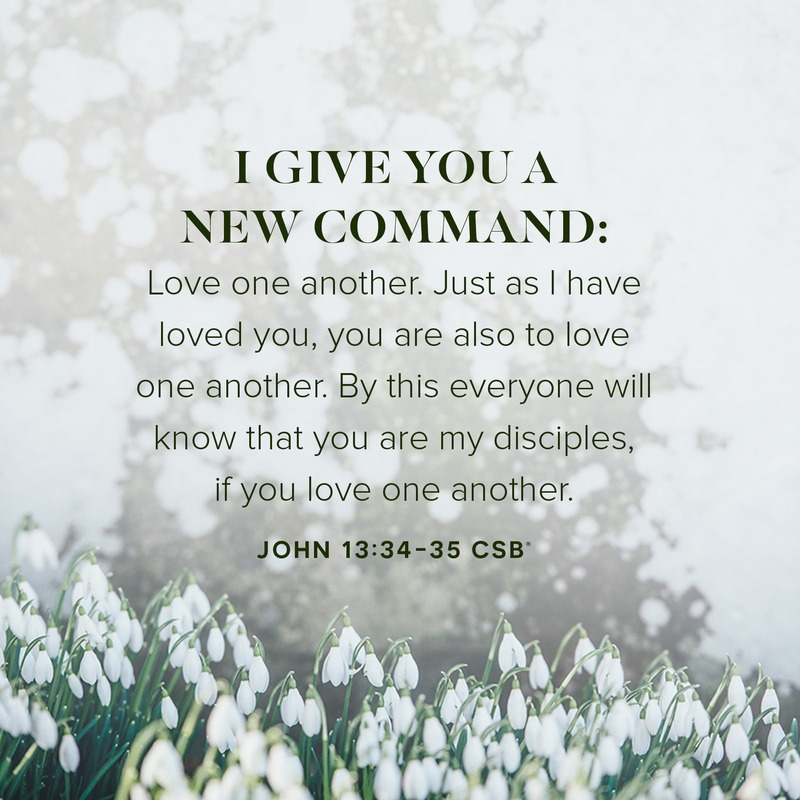 Church that I love and loves me? Yes to all the above. But over and above that, I have every spiritual blessing in the heavens (Eph. 1:3). Every. Single. One. In Christ, God has held nothing back from me. By the virtue of His sacrifice on the cross, I am a coheir with Jesus (Rom. 8:17), and my inheritance in Him has already been secured. This is what I have, right now. 3. Remember what was paid. And here we come to the meat of it all. For me, and for you, if indeed you are a Christian, a great and terrible price has been paid. We were not brought out of darkness and into the light, rescued from our empty way of life by silver or gold; no, it was by something much more valuable. The precious blood of Jesus was shed on our behalf (1 Peter 1:18-21). Jesus was given for our sake; only a price this high could atone for our sin so great. The cross of Jesus—the price that was paid—is like water to the parched ground of our ungrateful hearts. We pour it on as we fix our eyes on Him, and watch gratitude sprout up and bloom. Slowly yet steadily, we can cultivate hearts by God’s grace that are no longer entitled, no longer covetous, and are burning white hot for the glory of the Lamb that was slain. For many of you, the months of August and September mark the beginning of a new small group year. And even if it doesn’t, this time of year always brings about a sense of renewal and rejuvenation with the beginning of fall. In all of the planning and transitioning that goes into this season of ministry, remember that one of the most important things you can do for your group (and for your church’s group ministry as a whole) is pray over it. 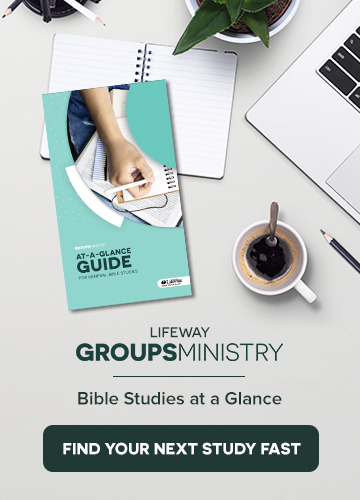 Whether your groups are launching in the coming weeks or you’re coming up on just another Sunday, consider these four Scripture passages to pray over your groups, and invite your group members to do the same. Then continue to grow your list of prayers as the fall semester progresses. 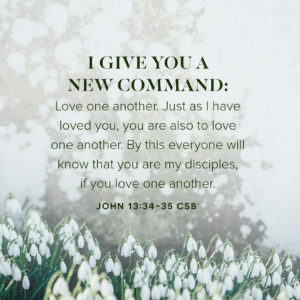 Therefore, as God’s chosen ones, holy and dearly loved, put on compassion, kindness, humility, gentleness, and patience, bearing with one another and forgiving one another if anyone has a grievance against another. Just as the Lord has forgiven you, so you are also to forgive. Above all, put on love, which is the perfect bond of unity. And let the peace of Christ, to which you were also called in one body, rule your hearts. And be thankful. Let the word of Christ dwell richly among you, in all wisdom teaching and admonishing one another through psalms, hymns, and spiritual songs, singing to God with gratitude in your hearts. And whatever you do, in word or in deed, do everything in the name of the Lord Jesus, giving thanks to God the Father through him. Laura Magness is a content specialist for LifeWay’s Discipleship in Context and smallgroup.com. A graduate of Samford University and Dallas Theological Seminary, she lives in Nashville, TN, with her husband Nathan and their two sons, Carter and Everett. In Brad Waggoner’s Shape of Faith to Come (2008), he highlights the importance of the daily discipline of reading the Bible. Waggoner calls it “daily Bible engagement,” and he claims it is the number one predictor of a person’s spiritual growth. What is meant by “daily Bible engagement”? Does it include reading the Bible every day? If so, how much do we read? And what kind of reading—devotional, inductive, or some type of meditative practice? Let’s look at each word in the term “daily Bible engagement” to get a handle on what this practice actually entails. Bible: Implies valuing God’s Word, not the thoughts of great philosophers, leaders, or theologians. Think about how many times we equate reading what others say about the Bible with reading the Bible. The ideas of others can be helpful, but they must not replace God’s Word. Here’s a test: When you are asked what you think about a subject, do you quote a recognized Bible teacher, or do you quote a Bible verse in your response? If you quote a recognized Bible teacher more than the Bible, you might want to evaluate whom you really view as the authority (1 Cor. 1:12-13 is instructive here). Engagement: Implies participation in the act of reading, studying, and reflecting on God’s Word. Synonyms include engrossed, immersed, captivated by, and wrapped up in. Ezra returned to Jerusalem with one goal in mind. We are told that he had “determined in his heart to study the law of theLord, obey it, and teach its statutes and ordinances in Israel” (Ezra 7:10, CSB). Before he could teach it, he had to study and obey it—and to me, this defines engagement. 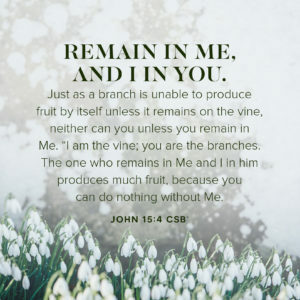 Engagement is more than simply reading one verse, followed with an instructive devotional paragraph that somehow connects to the Scripture. Rather, daily Bible engagement is the thoughtful study of God’s very words, as we seek to align our lives with the character of God. Not all conversations are created equal. After some, you could repeat what was said, but you really don’t plan to do more than that. Yet there are other conversations where you are so engrossed that you can not only repeat what was said verbally, but also repeat it in your lifestyle. This is what it means to be engaged—the difference is not the conversation, but what you do with the conversation after it is over. The same is true when it comes to the Bible. We must become disciplined in approaching the Bible with the intent of engaging it so we can live a life that honors the God who loves us. How would you define “daily Bible engagement” in a single sentence? What actions do you take to make sure you are engaging with the Bible daily? How can you encourage others to do the same? We will try to answer this last question in our next two blog posts. 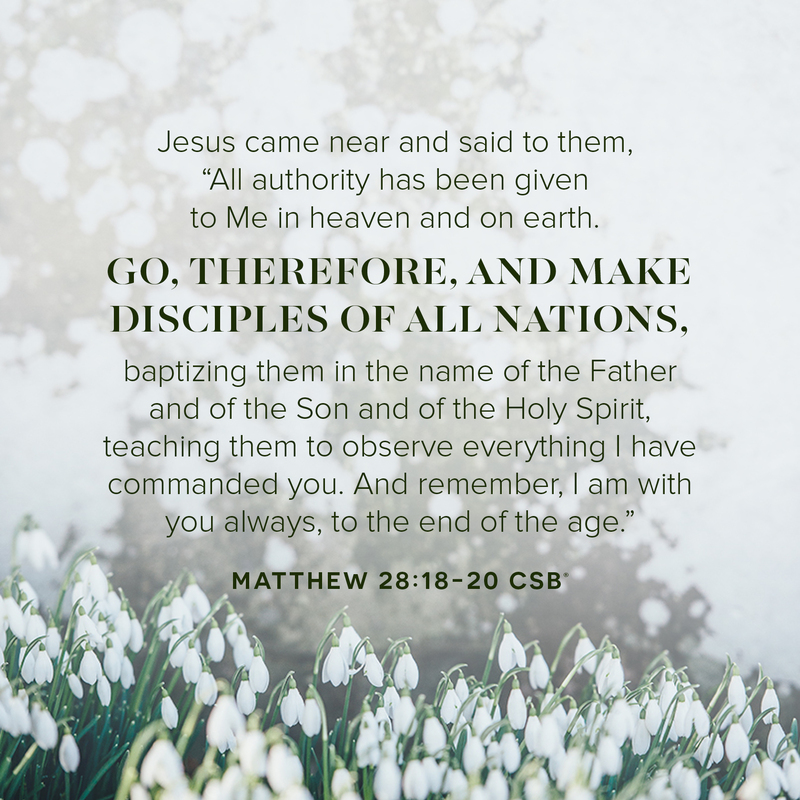 John 17 is referred to as Jesus’ “High Priestly Prayer.” Jesus’ prayer on the eve of His arrest and trials includes a prayer for Himself, a prayer for His disciples, and a prayer for future believers of every age. Jesus’ prayer for Himself was that He would glorify His Father through His death. He then prayed that His disciples would glorify the Father by preserving the unity they had in Jesus. Within this section of the prayer, Jesus petitioned the Father to protect His disciples from the Evil One. Finally, Jesus prayed for all who would come to believe in Him in the future. He wanted these believers to experience unity and grow in knowledge and love. By demonstrating unity, unbelievers would respond to the proclamation of the gospel while believers glorify the Father. Jesus’ selfless prayer is a model for all of us. Take some time to write out your own prayer using Jesus’ prayer in John 17 as a guide. In the final instructions given to His disciples in the upper room on the night before His crucifixion (John 13–16), Jesus promised that He would ask the Father to send the Holy Spirit to His disciples (14:15-17). He revealed that the Holy Spirit would be their Counselor (14:25-26). The Holy Spirit would testify about Jesus Christ and enable believers to testify also (15:26-27). The Spirit’s ministry to the world would be to convict people of sin, righteousness, and judgment in His efforts to bring them to faith and salvation in Jesus Christ (16:5-15). The Holy Spirit would guide believers into all truth. 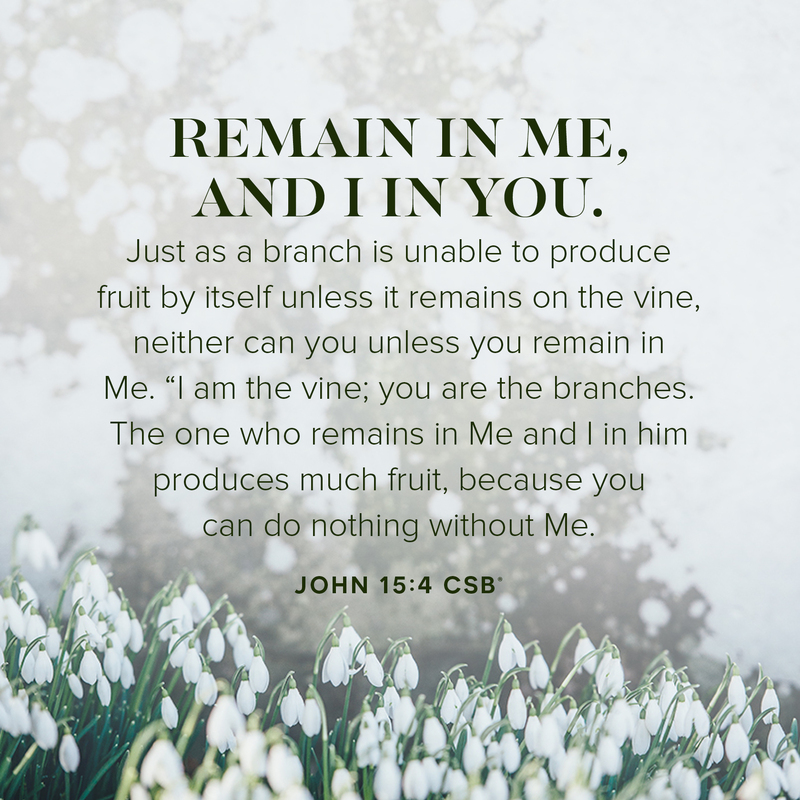 Genuine spirituality involves growing in a personal knowledge of and experience with the person and ministry of the Holy Spirit in our daily lives. Only through the Spirit’s strength are we able to find the hope and confidence Jesus encourages at the close of this chapter with the words, “Take heart; I have overcome the world” (John 16:33, ESV). What are some of the many troubles you are currently facing (John 16:33)? How might coming to see these troubles as inevitable, predicted aspects of life change your approach to them when they come? How might Jesus’ follow-up statement, that He has overcome the world, enable you to “take heart” as He commands? Many times during His earthly ministry, Jesus predicted His own death and the suffering His disciples would endure. 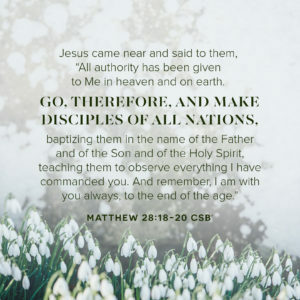 He wanted those who followed Him to have a clear picture of what they were getting themselves into—connecting oneself with the mission of Jesus requires sacrifice. Contrary to how the disciples viewed it, Jesus defined effective discipleship by the practice of humble service to other people (Mark 10:42-45). He downplayed success as an attainment of position and power. 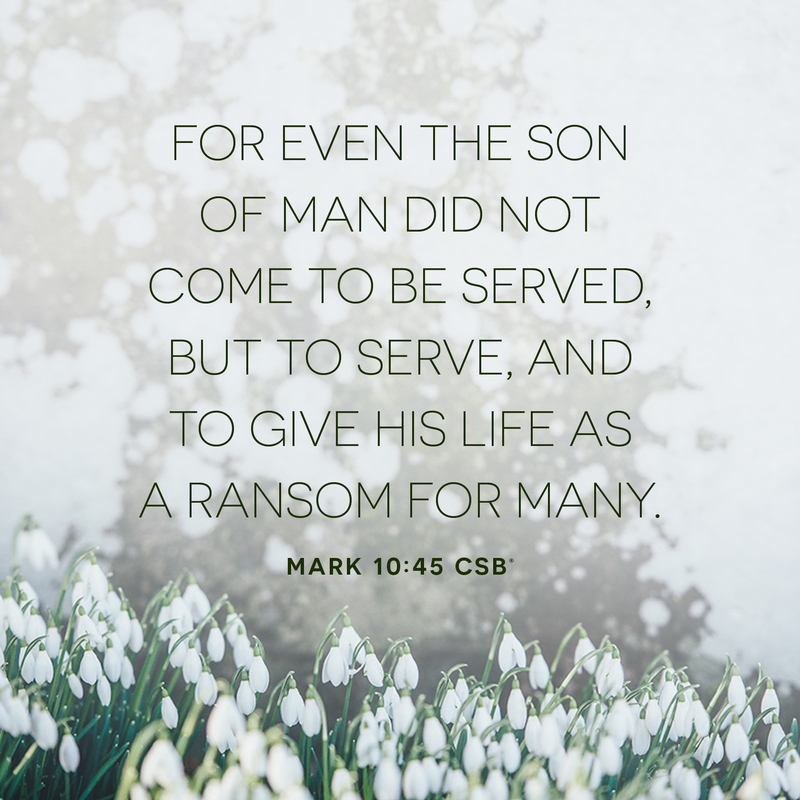 Real effectiveness in ministry comes through serving, not through being served. This mindset was counter cultural in Jesus’ day, and it remains counter cultural for ours today too. Serving others requires an active attentiveness to people’s needs and genuine compassion for people’s souls. When we struggle to show this kind of humility and compassion to others, it is important to remember that this is how God loves us. Recognizing the love, compassion, and grace of God in our own lives enables us to overflow that love to others. How do you feel when you reflect on the grace and compassion God has shown you through Jesus? Who needs to receive that same grace, love, and compassion from you today?